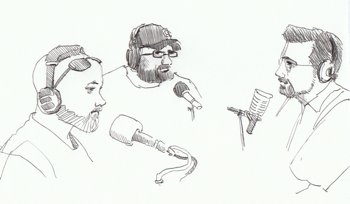 Anoved did this sketch live during the Podcast. We were all blown away at how amazingly awesome it was. Topics: Comic-Con 2008, Wolverine Trailer, Can Geeks and Jocks be friends? (probably the best discussion we’ve had to date), Geeks in the military? And we answer QUESTIONS from the listeners.